Guangzhou [China], Dec 13 (ANI): Ace Indian shuttler PV Sindhu on Thursday ended her six-match losing streak against world number one Tai Tzu Ying as she defeated the Taiwanese shuttler in their group stage clash of the ongoing World Tour Finals tournament. New Delhi [India], Oct 22 (ANI): Former world number one Saina Nehwal, who settled for a silver medal in the recently-concluded Denmark Open, has thanked her entire team for supporting her throughout the tournament. Jakarta [Indonesia], August 28 (ANI): Ace shuttler PV Sindhu on Tuesday clinched a historic silver medal in Women's Singles Badminton event as she became the first Indian to finish second on the podium in the Asian Games. Jakarta [Indonesia], August 27 (ANI): Former world number one, Saina Nehwal on Monday bagged a bronze medal in Badminton Women's Singles as she lost to Chinese Taipei player Tai Tzu Ying in the semi-final of the event at the ongoing 18th edition of the Asian Games. Kuala Lumpur [Malaysia], June 30 (ANI): Rio Olympic silver-medallist PV Sindhu suffered a major blow as she crashed out of the Malaysian Open badminton championship after going down against her Taiwanese opponent Tai Tzu Ying in the semi-finals of the women's singles event here on Saturday. 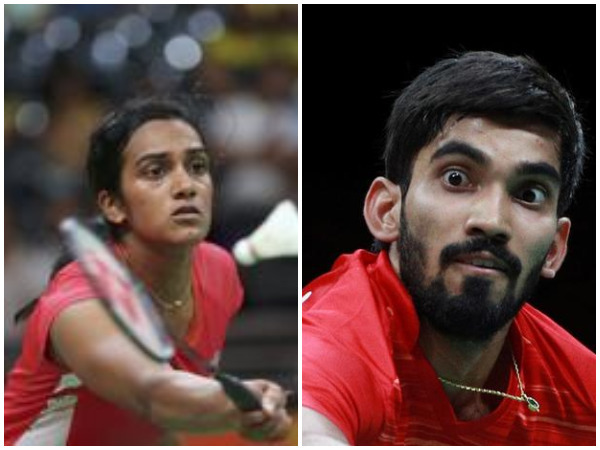 Kuala Lumpur [Malaysia], June 30 (ANI): Indian star shuttler PV Sindhu will be looking to enter the final of the Malaysia Open badminton championship when she collides with world number one Tai Tzu Ying of Taiwan in the semi-final clash of the women's singles event here on Saturday. Jakarta [Indonesia], Jan 28 (ANI):London Olympics bronze medallist Saina Nehwal was defeated by world No. 1 Tai Tzu Ying in straight games in the title clash of the Indonesia Masters here on Sunday.